A savory treat that you will definitely enjoy! Be surprised to an awesome blend of flavors you cannot resist all day! 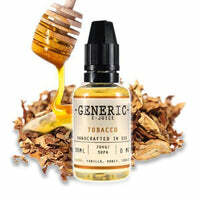 The sweet mix of vanilla, honey, and tobacco is a treat on your senses like no other! Get ready for some unexpected events! A perfect thrill! Grab one today!